We are taking part in the BBC Make It Digital initiative here in Birmingham. Jordan a talented young web developer is joining the team for the next two weeks to learn new skills, get experience in the industry and look to make that first step into a long and rewarding career. We will keep you up to date how he gets on and what he thinks of the experience. Throughout 2015 the BBC’s Make It Digital season will be shining a light on the world of digital in a major UK-wide initiative to inspire a new generation to get creative with coding, programming and digital technology. 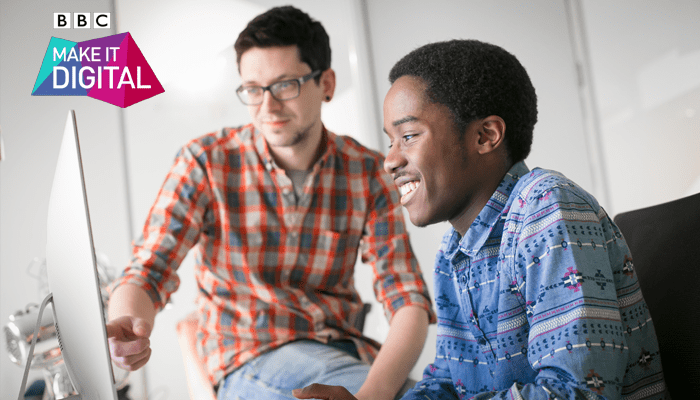 The BBC Make it Digital Traineeship will help up to 5,000 young unemployed people boost their digital skills and get a foot on the jobs ladder. The video below outlines why will i am thinks Digital skills and technology are so important. The UK is facing a significant skills shortage with 1.4m digital professionals needed over the next five years. The BBC Make It Digital initiative will put digital creativity in the spotlight like never before, and help build the nation’s digital skills, through an ambitious range of new programmes, partnerships and projects.